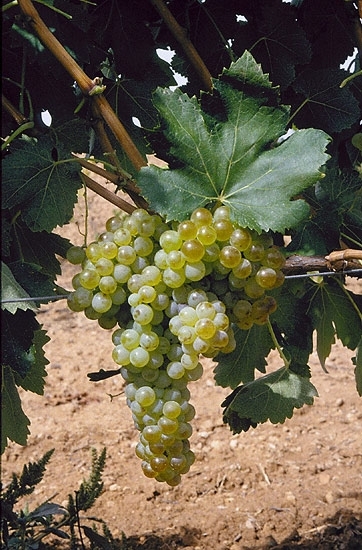 Macabeo grape is the banner of Rioja white wines. In fact it is believed that its origin is Spanish, but today we can find white wines with Viura also across the Pyrenees. Yes, France also knows how to use the benefits of this grape for some of its white wines Minervois AOC (in the region of Midi). In the Rioja this varietal is known with a very different name. In this wine land Macabeo grape is called Viura. This elegant name is behind some of the most elite white wines from the region like the Beronia, Marqués de Murrieta or Abel Mendoza. In Rioja the intrinsic properties of the Viura grape are also exploit and is therefore common to find white wines that have aged in oak barrels. The white Rioja Crianza is a living legend and it is trying any of them and getting hooked into the wealth of connotations that it offers in the mouth, the purity of flavor that still retains its freshness and the balanced line that emerges from the whole thing. However, this does not mean that white wines made from this varietal cannot be consumed young. Although it may seem almost paradoxical, Macabeo grape is also present in Galicia. In the land of Ribeiro and Albariño par excellence it I possible to find some vines of this variety for white wines, plus some others among which we could highlight the Treixadura, the Godello, the Loureira or Torrontes (and of course the Albariño). At the other end of the Iberian Peninsula in Catalonia Macabeo grapes are also common. Specifically in the Penedes region, where it is used to give a fruity finish to their combinations with Chardonnay, and to give a little more power to those wines in which it is used together with the Parellada grape. And as Viura, or Macabeo, is a grape that has the quality to adapt well to almost any kind of soil while offering very high performance, if you travel to the south of Spain, you can also try wines from the area which have it in their composition, as it is not exclusive to the northern half of Spain. The region of Bullas is a not very extensive wine region, but it has some very interesting wines, especially regarding red ones but they also can offer some good white wines, made from Airen or perhaps also from Macabeo. 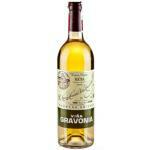 Viña Gravonia 2002, minor wine from Viña Tondonia, a great white to begin tasting Macabeo.